These are some of the things you can do to get back links when you write a post on your blog on your travel blog. The idea is to get it indexed by search engines as soon as possible. There is a lot of argument about back links; it is said that, some are good and some can actually harm your ranking. A backlink has more weightage if it’s coming from similar niches. But then this is debatable. Google is putting more emphasis on social media meaning that more it gets shared, the better it ranks. 1. First things first, ping it. If you are using Wordpress then, then it is automatically done on ping-o-matic. There is a form in Wordpress that allows you to enter all the places you want to ping your site after publishing a blog post. 2. Submit your blog post URL on Twitter to let your followers know that you have published something. Include some text; an URL on its own does not look nice. Be creative with your limited allowance of words. Don’t forget to use appropriate hastags such as #travel, #travelindia etc. 3. Send your blog URL to your Facebook for your friends to read and comment on. There are lots of niche groups and pages you can join and post your post but don’t spam them obviously. 4. You can also Digg your post. Make sure you write a good description. The more thumbs up you have better the chances of being read by more people. 5. You can also submit to Stumbleupon. But remember quality of traffic is pretty poor. The new algorithm states that, a longer a visitor stays on your site, the better it is. Most people on Stumbleupon, really Stumbleupon like mad. They move from one site to another like crazy. 6. Publish on Linkedin. There is a “share an update” box that allows you to attach a link. Do it, don’t be shy. 7. Post on plurk, a social micro-blogging platform. But remember they are no-follow. It’s just letting your followers know that you have published. 8. Post on Apsense. It is a social networking site for business owners, internet marketers and affiliates. 9. Post on Blog Engage. If your post is good then it gets read by lot of people and will be promoted to the top page. 10. 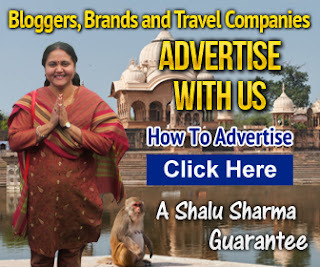 Go and post useful constructive comments on like minded blogs (travel blogs that have commentluv plug enabled) and get some instant back links. Many blogs allow you to link to your latest post. This blog allows you to choose from your previous posts and is do-follow. So feel free to comment. 11. Post your link and a small description on Google Plus. You can join travel related groups where you can post your travel photos and blog post. 12. ScoopIt is another place where you can submit your blog posts. Its content curation site where people share great content. 13. Don’t forget Pinterest. If you use this correctly then you will get a lot of traffic to your travel site. The idea is to create boards and post your images there. Don’t forget to share other people’s images onto your own board. Are these the things you are doing when you write a blog post or do you just leave it at that? Feel free to comment. Please feel free to share your thoughts as to what you doing when you publish a post. If you have any more ideas, please do share them here. 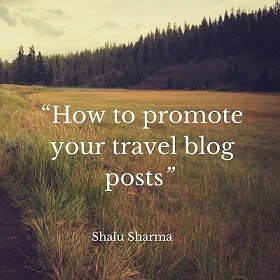 There are lots of other things you can do to promote your brand or website for example guest posts, interviews, podcasts and other link building strategies. We will talk about this in a different post.